Objectives The purpose of this study was to investigate whether two devices for measuring vibrotactile perception thresholds produced similar results on an individual basis and to compare the thresholds in the presence or absence of sensorineural hand symptoms and vibration exposure. Methods Vibrotactile perception thresholds were measured with a vibrameter and a tactilometer in 178 men. The tactilometer uses seven discrete frequencies from 8 to 500 Hz, and the vibrameter uses one frequency (100 Hz).  Agreement was assessed from the correlations and from a comparison of subjects who had thresholds above the upper quartile of each device as to the presence of sensorineural hand symptoms and occupational vibration exposure. Results The correlation between the vibrameter and the tactilometer (125 Hz) was 0.59. The agreement between the vibrameter and the tactilometer (63 Hz), when the upper quartile was used as a limit, had a sensitivity of 0.56 and a specificity of 0.85. The sensitivity and specificity for the agreement with symptoms were 0.44 and 0.79, respectively, for the tactilometer and 0.40 and 0.78, respectively, for the vibrameter. The indices combined from the different frequencies of the tactilometer did not improve the agreement. Conclusion Some of the discrepancy between the measurement of the vibrameter and tactilometer can be explained by differences in the equipment, the measurement procedures, and the examiner, combined with high inter- and intraindividual variability. Neither of the two devices was superior when the results were compared as to the occurrence of hand symptoms and vibration exposure. As evaluated in this study vibrotactile perception threshold has a restricted value for screening and diagnostic purposes on an individual basis.